Natasha Lynn Photography is holding their first boudoir model call of the year! I am looking for THREE beautiful women to do a Boudie Call shoot at the new studio located in downtown North Wilkesboro. No modeling or boudoir experience is required. I am on the hunt for REAL WOMEN! Any age, shape or size! $50 product credit towards images or products. Sessions must take place before the end of February. Refer a friend who books a model call and you get $50 towards your next full boudoir session (session fee OR products). You don’t have to do the model call yourself. Referral credits never expire and you can earn as much as you like! Your friend must mention your name at time of booking. **The $99 retainer is NON-REFUNDABLE to hold your session date. If you have already booked a full experience you cannot change to a model call. If you are a no-show, you do not get the money back. ONE reschedule is allowed, but anymore and you forfeit your retainer. You will have to reschedule and pay another retainer fee if you are still interested. Photos WILL be used for whatever purpose I intend for them, however you are welcome to use the photos you receive as portfolio pieces. I will not tag you in the images unless you specifically tell me to. While only five images are included in the model call but more are available for purchase with your product credit. You are welcome to purchase additional products at the standard pricing. Payment plans are available upon request. I will only be accepting three women to do this session at this time. Celebrate your love this Valentine's Day. A live pony/unicorn will be the highlight of this beautiful session set. think all things summer and patriotic. Red, White & Blue complete with delicious watermelon and Coca Cola! Interested in a session with multiple package options? Please note that dates are subject to change at any time. Contact me today to get your name on the list for these sessions. It's officially fall and time to book your Fall Mini Sessions. A $50 nonrefundable retainer is due to hold your session date and time. 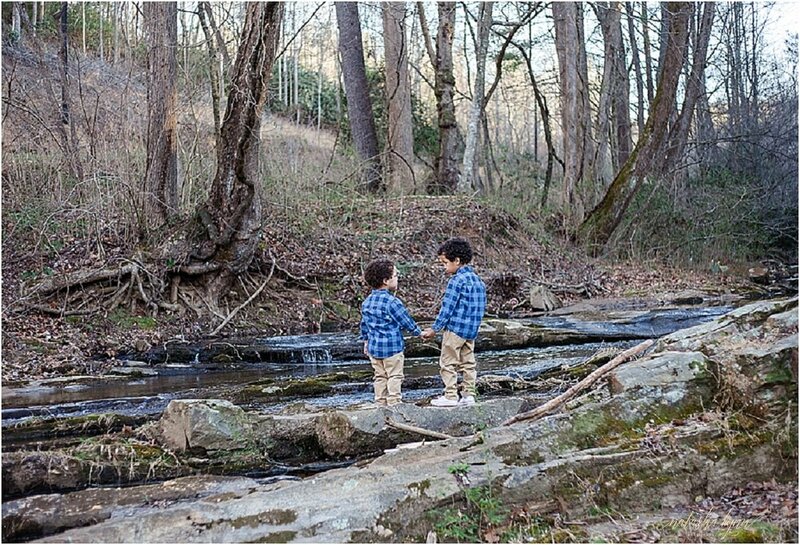 A few weeks ago I had the opportunity to spend the evening with a set of adorable brothers at a gorgeous location in Wilkes County that I had never visited. Their mom had the opportunity to make many childhood memories in this creek and she felt it was only fitting to bring her boys here for their session with me. 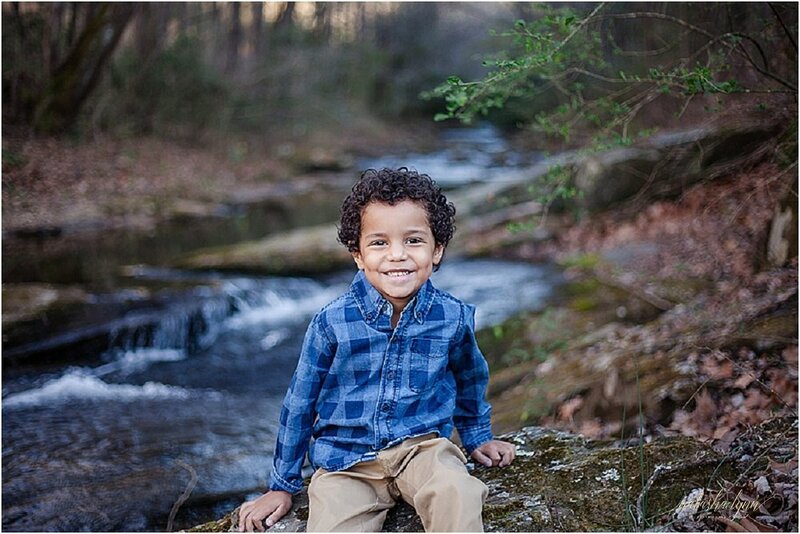 No matter how gorgeous this mountain scenery may be, it has nothing on the adorable smiles her boys wore for their session. Below are some of my favorites from our time playing by the creek. 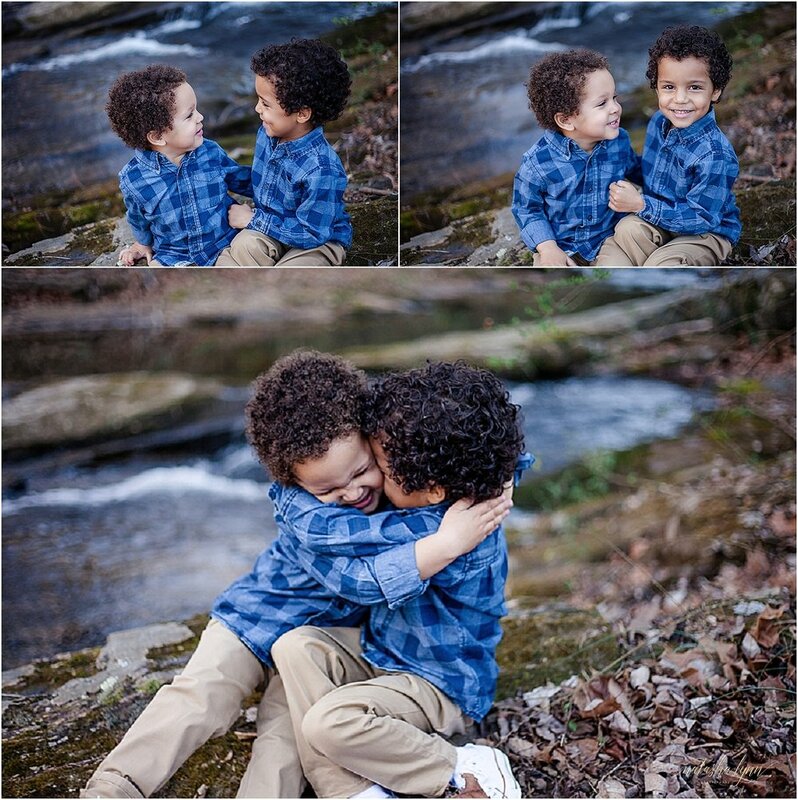 The set below may be my absolute favorite from the session, just look at how little brother is looking at his big brother..and that big squeeze! Absolute perfection! The main reason for my visit with these boys was the celebration of this handsome guy turning THREE! Just look at his smile and him proudly displaying his soon to be age on his fingers, so cute! 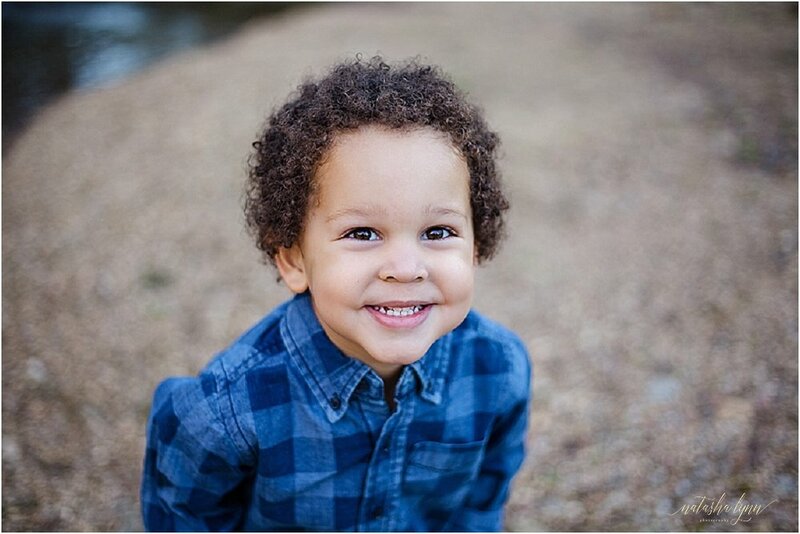 Do your little ones need updated photos to celebrate an upcoming birthday or accomplishment? If so, I would love to spend some time with them, adventuring, laughing and capturing their who they are right now! Let's do it, before that little person isn't little anymore! I WANT A SESSION FOR MY KIDDOS! Each and every one of us have dealt with someone in the business being less than friendly to us, it's that competition mentality that looms amongst photographers and women in general. Well, I'm here to say this "It's not cool" If you ask me nothing says it better than this quote by James Keller, "A candle loses nothing by lighting another candle." There is something special about getting to know other local photographers, oh man it feels good to talk shop with someone who gets it, someone who shares your passion-your love for capturing life's precious moments. Someone who understands the struggles, who knows you work 24-7 and can't seem to get anything done. I'm telling you if you haven't made friends with your "competition" you should totally try it- otherwise you are missing out on a great opportunity to create a community that truly understands you and all of the good and bad that goes along with being an entrepreneur, a one woman show, a wearer of all the hats...trust me, it's so worth it! A few months back I met up with Nicole of Nicole Huffman Photography for her headshot session, she was kind and excited about her business, about growth and about life. The kind of excitement and passion that will make you excited as well. I left our session together happy, feeling fulfilled..that's what community can do for you! Here are a few of my favorites from this beautiful photographer's headshot session in downtown North Wilkesboro. Need updated headshots or brand photos for your "About Me" page? If so, I'm your girl- let's start planning your custom headshot session now! 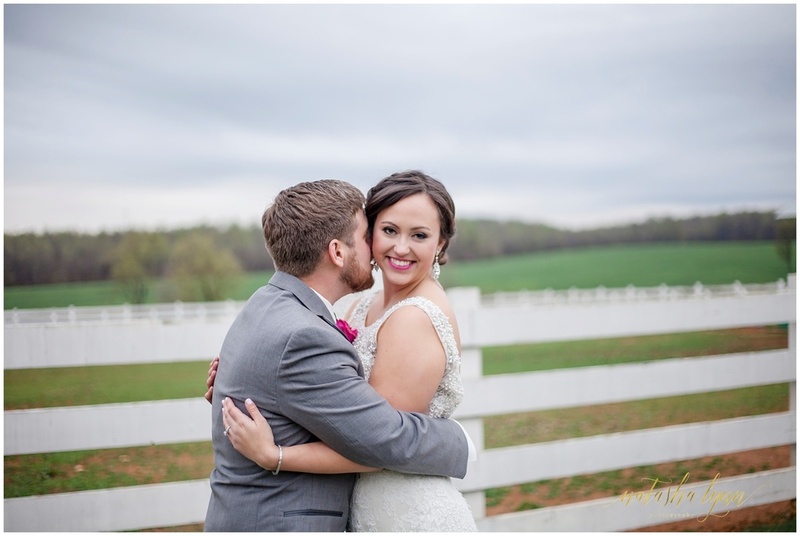 As a Wilkes County Engagement and Wedding Photographer, I feel like I've hit the jackpot when I have the opportunity to photograph people who are truly in love! These two certainly helped kick 2017 off in an amazing for me! We met in Wilkes just a few days before their wedding ceremony and reception here in Wilkes, which was scheduled to take place while Jj was on leave. 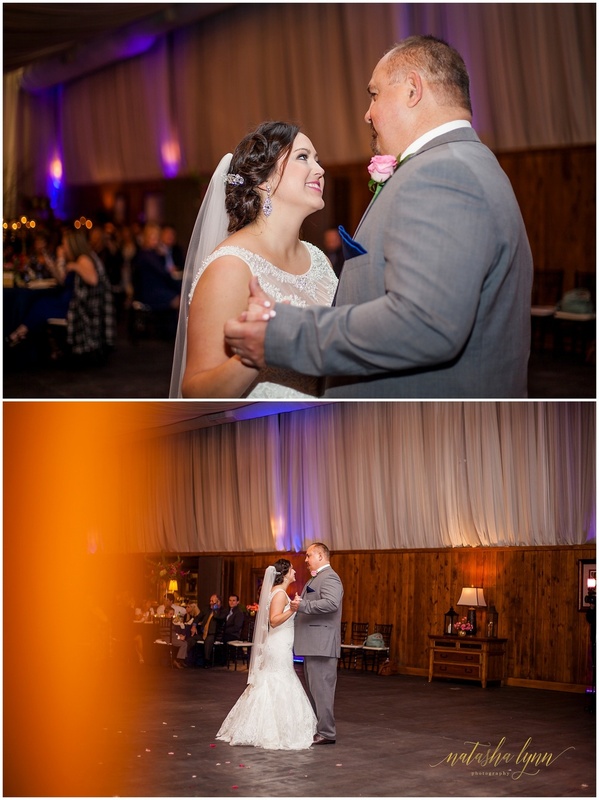 Our time together was perfect and I walked away excited to watch them celebrate their love with those closest to them. 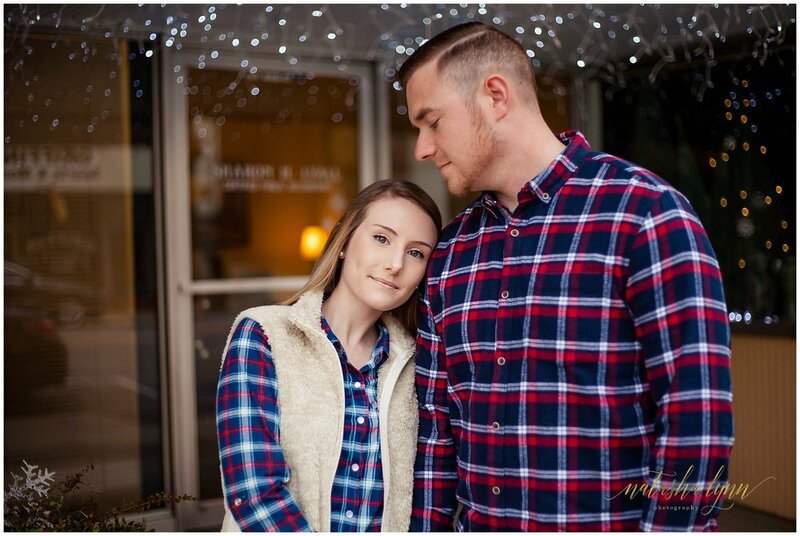 Enjoy a little of their love story as told by Jenny and some of my favorites from their downtown North Wilkesboro Engagement session. 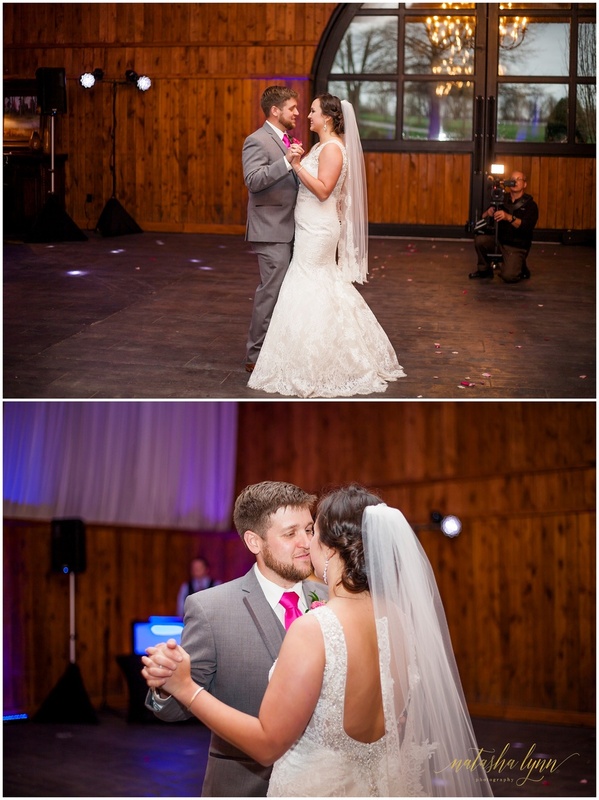 "We met in high school and instantly had a connection! It was truly love at first sight for us. The very first day we actually talked to each other in person, Jj kissed my head before we had to go to class and I always smile thinking about that." "Jj proposed in December of 2014 in front of all our family and friends at his parents house. It was perfect. Before he asked me he wrote my daddy a letter from basic training asking for my hand in marriage, then on January 15 2015 we got married at the Comanche County Court House in Lawton, Oklahoma because Jj was at Fort Sill at the time. We were married the day before his graduation from basic training, and had only decided about a week before that that we were going to go ahead and get married! We didn't want to have to live apart any longer! Now we've been together six years and have been married for two and it's a constant blessing every day!" 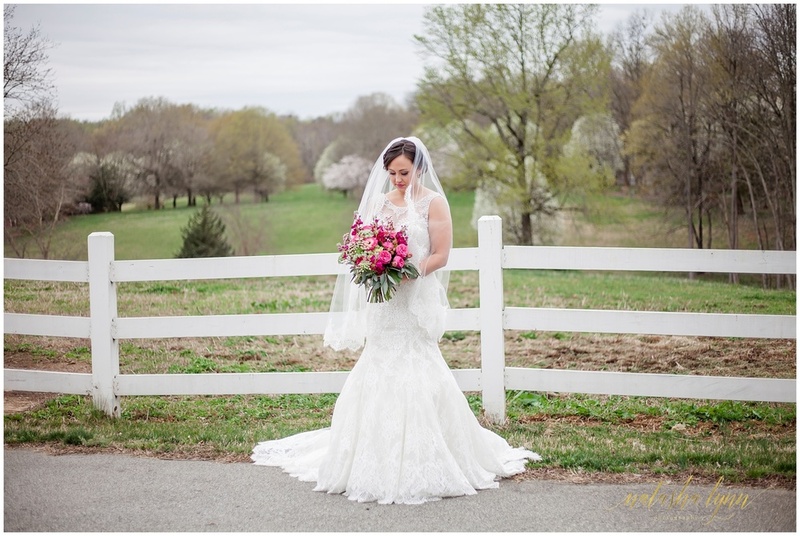 As a Wilkes County Wedding Photographer, each of my pre-designed collections include an engagement session. 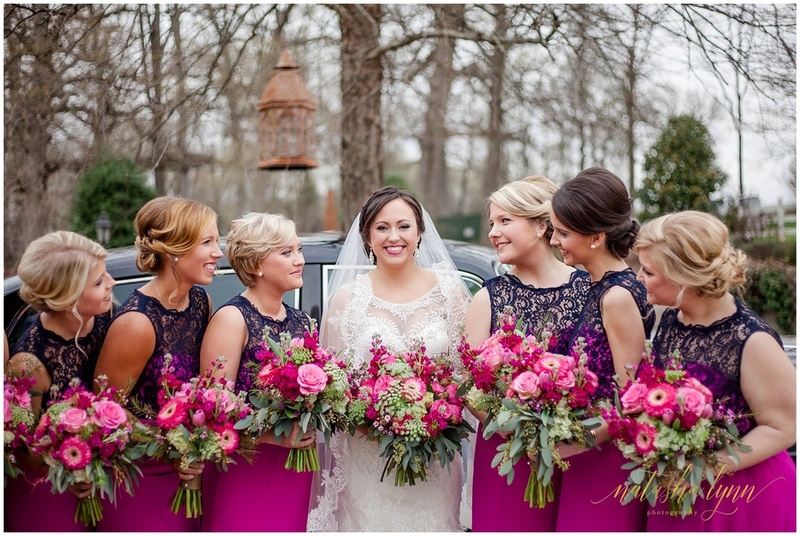 I believe it is incredibly important for us to spend this time together before your big day. It allows us to get to know each other, chat and laugh over life stories and you get the opportunity to see how I work. Plus, you get to cuddle and love on each other for an hour or two and walk away with gorgeous photos that showcase the love you share. 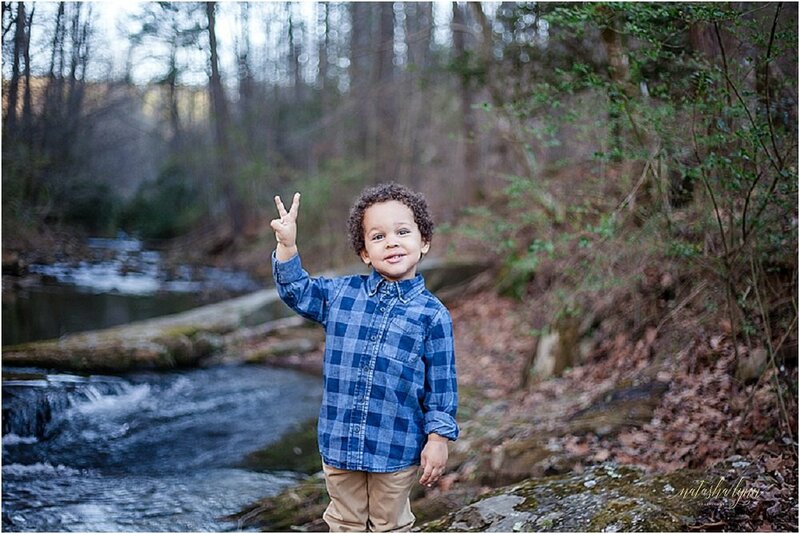 I absolutely adore shooting in downtown North Wilkesboro. There is so much character and unlimited possibilities. Walking the streets with my couples will never get old! Are you getting married and looking for a photographer? 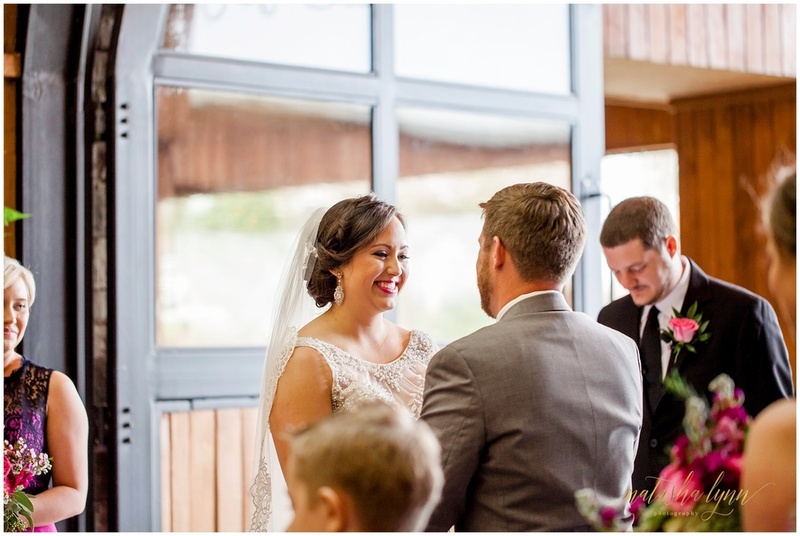 Just madly in love and want some amazing photos to document the way he looks at you? Photographing people in love makes me so happy and I would love work with you! 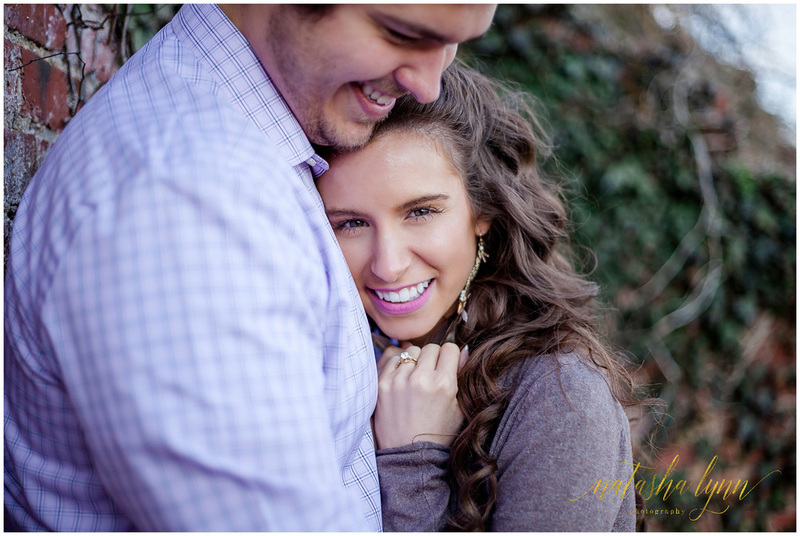 Plus, I have a few spots open for our Limited Edition Couple's Sessions on February 18th! Quick and painless for any guy who might be reading this and the PERFECT gift for her this Valentine's Day! One of my goals for 2017 is to blog more, we won’t discuss how I failed miserably at achieving this goal in 2016. Instead, I am going to begin the year with a post I have been working on for a while now. I love photographing Seniors, it is one of my favorite areas in my business. 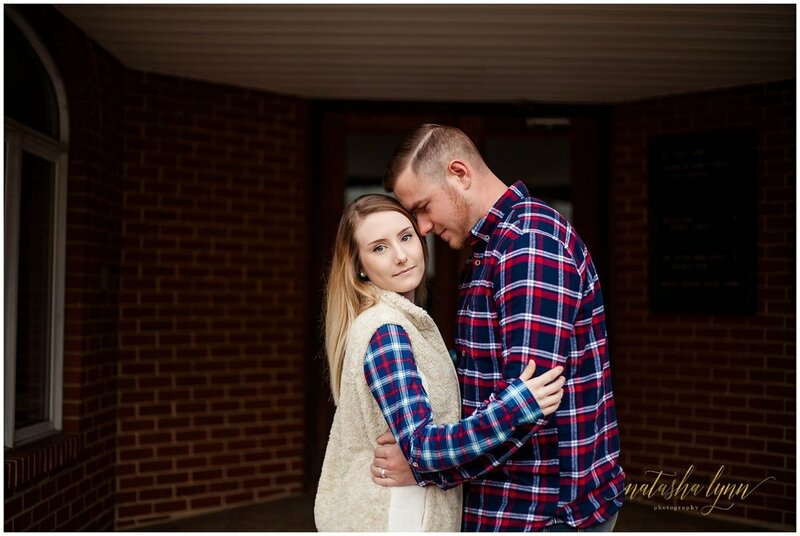 As a Wilkes County Senior Photographer it is my goal to make our time together as stress free as possible and that begins well before the day of our session. It seems that many of my clients are hesitant to ask for help when it comes to planning their session, I realize that as Seniors this is possibly the first time you are planning and preparing for a professional photo shoot, so please know that I am more than happy to address any questions you may have and hopefully this list helps you prepare for your Senior Session! Choose a location you Love. Every Senior is different, so naturally you will not all want the same location for your Senior Portraits. Think about places that are meaningful to you or suit your personality. Do you love softball like me? Then we can make a stop at your home field. Country girl at heart? Then a local farm or barn may be a great fit for you. Book Lover? We could get some adorable shots at the local library! Keep in mind that your Senior Session allows for multiple locations so you can showcase more of who you are. 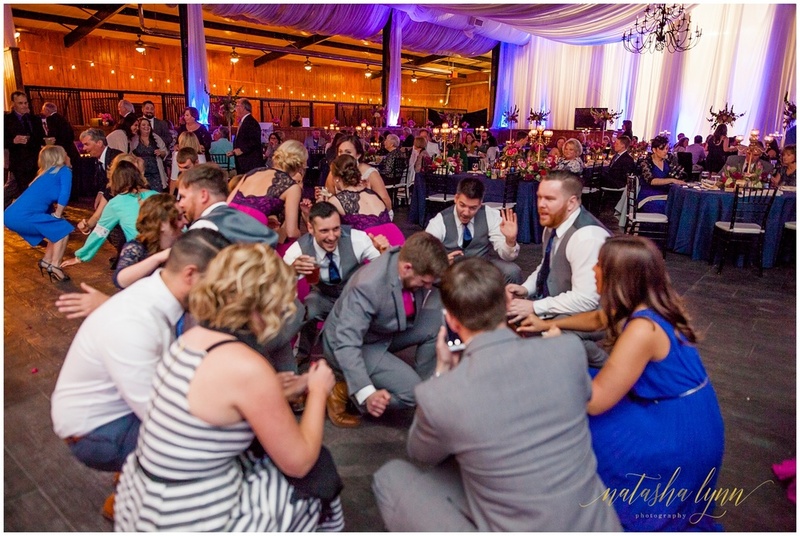 This can be the most stressful part of planning ANY photo session. So, here are some great ways to choose what you should wear. Dress comfortably. If you like loose fitted clothing, then don’t bring along tight fitting pieces that leave you worried about how you look. So, please do yourself a favor and if there are pieces in your closet that make you feel self-conscious then leave them behind. We will be including a variety of poses from sitting, to lying down and standing so be sure to wear something that is comfortable and allows for movement. COLOR looks great in photos! So, when you’re choosing outfits avoid solid black and white that can make you look washed out on camera and opt for colors that pop! LAYERS make everything look more interesting, so use that to your advantage, especially if you’re booking a fall or winter Senior session. Not only do layers add dimension to your photos, but they create more opportunities for us in terms of posing. TEXTURE. Adding texture to your session wardrobe can make a huge difference. Think fur vests, sequin blazers, lace sleeved tops, velvet body suits or dresses and cable knits cardis! ACCESSORIZE! When picking what to wear, don’t forget about your accessories. Bangle bracelets, long layered necklaces, satin chokers, scarves, boot socks, etc…The right accessories can take an outfit from dull to Dannnng girl! VARIETY. I always suggest multiple looks, changing things up will make you love your gallery even more. You could include a casual outfit, along with something more dressy or edgy. Utilizing school items, such as uniforms is a great way to showcase your interests while adding a different look for your finished gallery. HAIR AND MAKEUP! One thing that sets Senior Sessions with Natasha Lynn Photography apart from the rest is that our Senior Sessions INCLUDE hair and makeup by a talented professional stylist. Of course, some ladies are amazing at hair and makeup and choose to do their own, however, I ALWAYS recommend that my senior clients work with my stylist, it always, ALWAYS makes a HUGE difference. My stylists have been hand picked, so I know the quality of their work. Their work aligns with my style and is the level of quality I am happy to showcase in my portfolio. 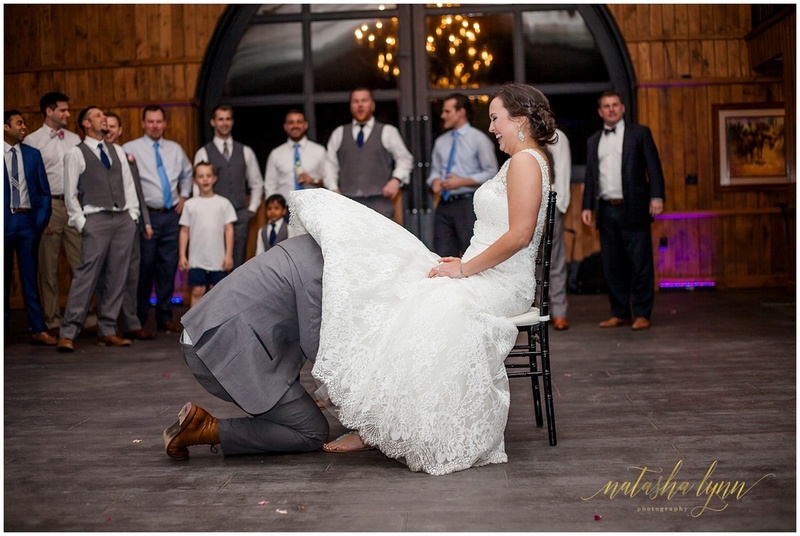 Professionals are trained to do this, and they know what photographs well. …Plus, who doesn’t Love being pampered?!? If for whatever reason, you decide against professional hair and makeup be sure to wear it a little heavier than normal. A nice pop of color on your lips and false lashes are always a great touch as well. NAILS. Make sure your nails are on point as well. For you this could mean a mani or just a quick clear coat. Even if you prefer a clean nail just be sure to avoid old, chipped polish, crazy patterns or colors- if you’ve looked through my work you will notice that many poses will have your hands in frame so don’t go crazy or completely neglect those fingertips! Finally, Relax and have some fun! That may sound pretty basic, but the best photographs are taken when a senior is relaxed and really enjoying the experience. Now that you've made it through this lengthy blog post are you ready to book your Wilkes County Senior Session? I know I am ready to hear from you! Are you a current Junior who wants to take part in great styled shoots like some of the ones above? Yes? Great, be sure to apply to become a member of the 2018 Senior Model Team Today! It seems like yesterday that Elizabeth and I began chatting about this little man and now we have already completed his 4 month milestone session and are making plans for his 6 month session. Time certainly does fly..one day you are holding your baby bump and the next a little person who fills up your whole heart...then you blink and you are mommy to a sitter, a toddler, a kindergartner, a high school graduate. Nothing can compare to being a mother, there is nothing like it and certainly nothing better. 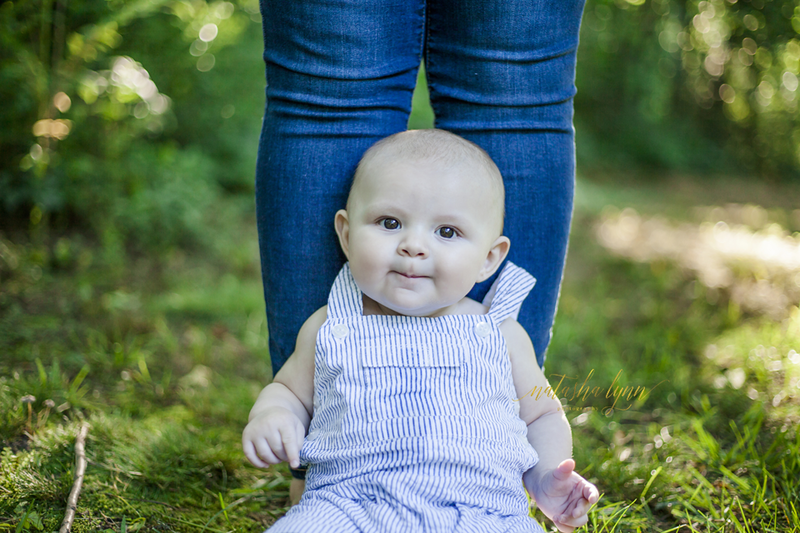 As a Wilkes County Photographer there is nothing I love more than following sweet babies as they grow, capturing precious memories for families makes my heart smile. If you have a little one who fills your heart with joy let's chat and create some beautiful memories this summer. Below are a few of our favorites from this sweet boy's 4 month milestone session. I knew Jordyn and John’s wedding day would be nothing short of magical months ago when we trekked around Moravian Falls together for their engagement session. I was right, From the quiet country setting of Adaumont Farm, to teary eyed parents watching their only children begin a new chapter in their lives, to an anxious groom- just ready to say "I do" to the love of his life, to that first kiss as husband and wife, and all the fun that followed after on that dance floor...their wedding was filled with so much fun and love, and was nothing short of perfection. Thank you Jordyn and John for allowing me to be a part of this magical day, I wish you guys a lifetime of happiness! 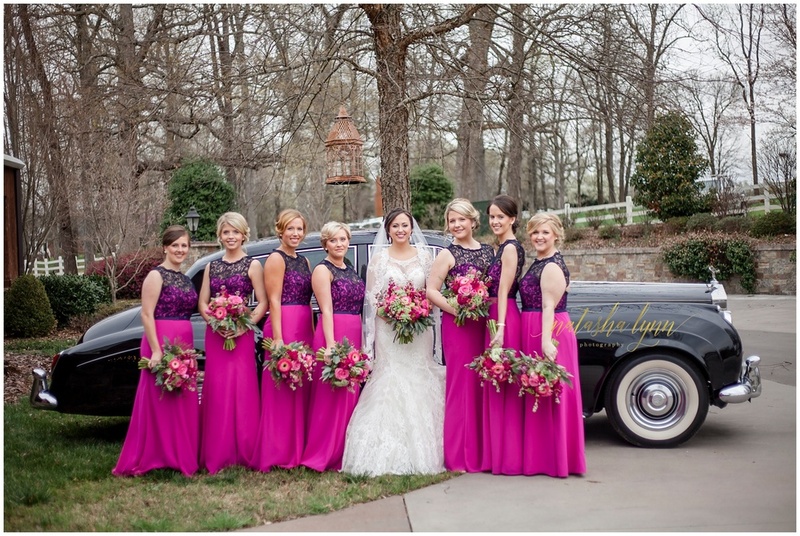 Here are just a few of my favorites from their story book wedding day. 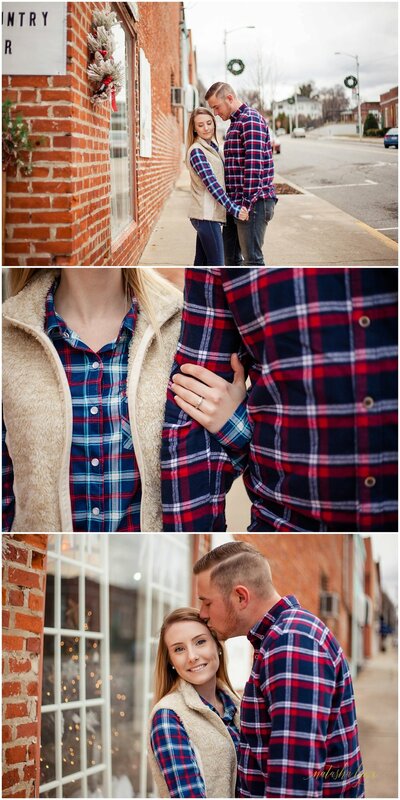 As a Wilkes County engagement photographer I always love exploring the downtown area with couples. There are so many great spots to stop and so much walking to do, which allows for some great opportunities for us to really get to know each other. 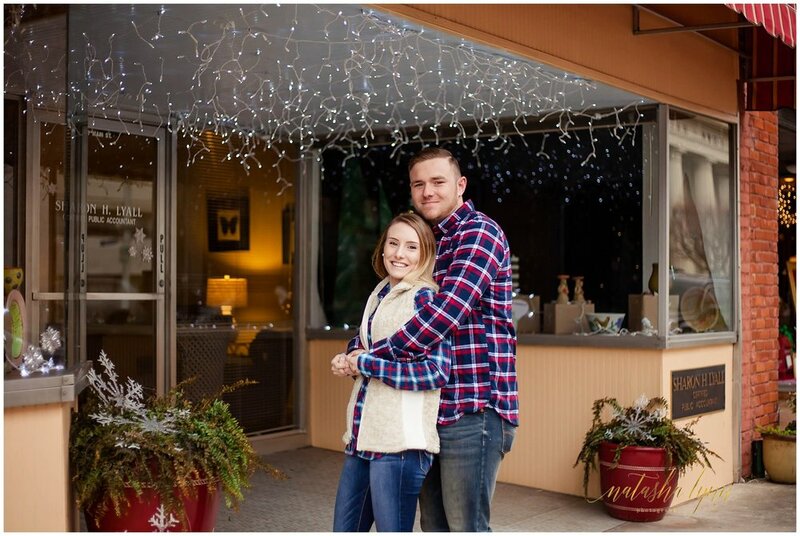 A few weeks ago I met Leah and Caleb on the streets of downtown North Wilkesboro and we took Caleb on a tour of our “nice alley-ways.” We had such an amazing time, there was a lot of laughter…these two are great, I cannot stress that enough. Their happiness and love was contagious. 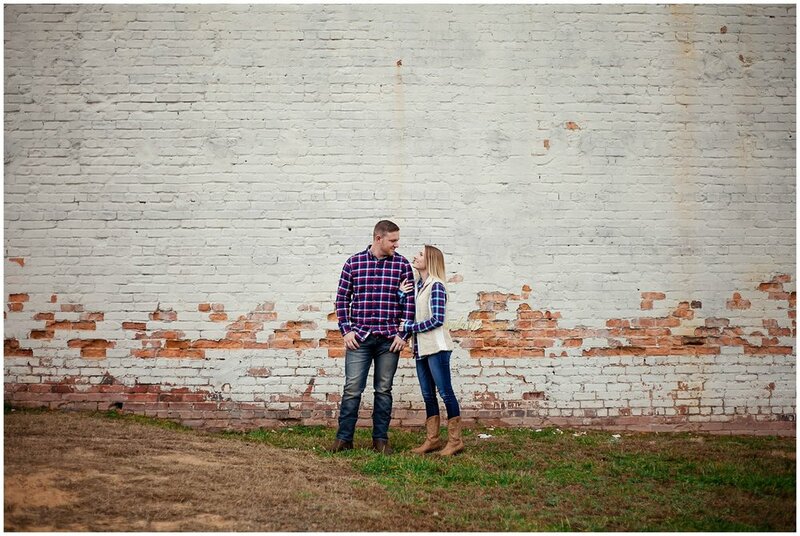 Below are a few of my favorites from Leah and Caleb’s Wilkes County engagement session. I hope you love them as much as I do! Are they not the cutest!? 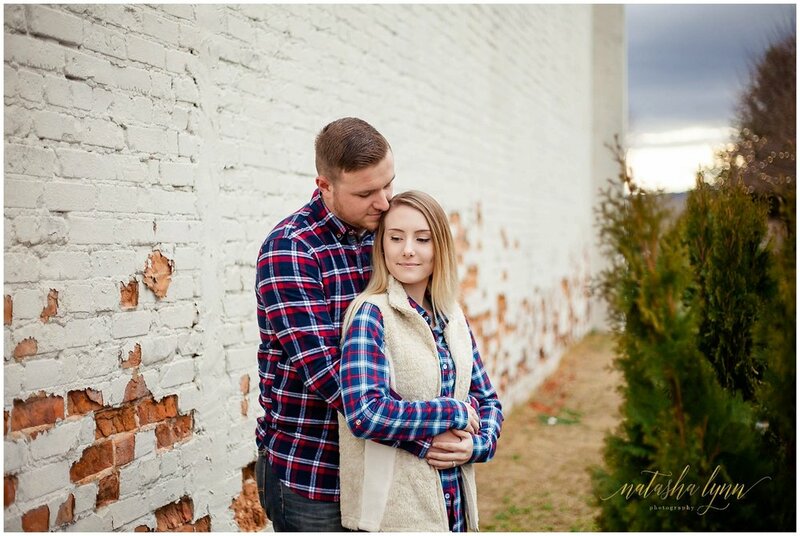 If you recently said "yes" and are currently on the hunt for a Wilkes County Engagement Photographer I would love to chat with you, so be sure to hit that contact button in the menu!